What do you wish for your children as they grow older? Kindness? Intelligence? Success? Good health? We put everything we have into raising our kids to give them the best chance of having a good life. But screen time is getting in the way of those efforts. The amount of time children spend in front of screens has a direct effect on cognitive function. And it isn’t a good effect. It’s impossible to completely break away from screens in the digital age we’re living in. Rather, we have to balance the negative effects by introducing more movement. 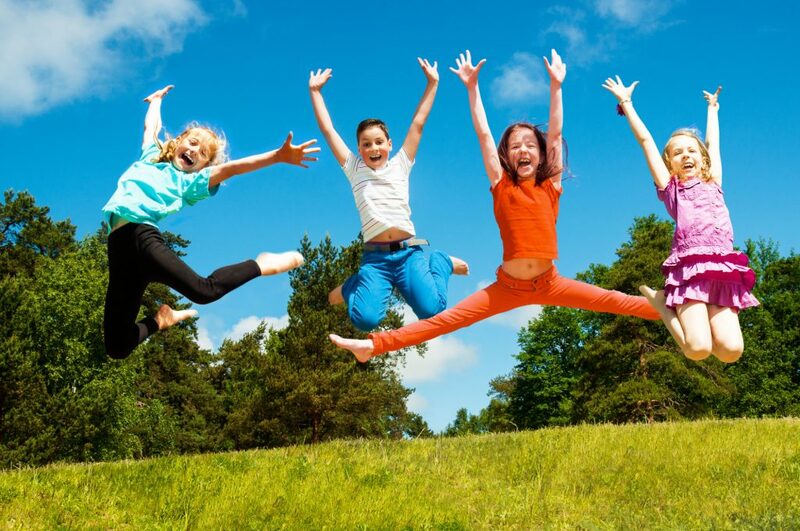 Exercise for kids promotes better mood, energy, sleep, and countless other physical benefits. The common suggestion is at least one hour of activity every day. It depends on the intensity and what activity we’re talking about, but that’s a guideline. So how do you get your kid moving in the right direction? Here are physical activities your kids will love, and their bodies will love too. Most martial arts originated out of Asia and include five categories styles: striking (or stand-up), grappling (or ground fighting), throwing (or takedown), weapons-based, and low impact (or meditative). Common martial arts practices in the United States are karate (striking), Brazilian Jiu Jitsu (grappling), and judo (throwing). Overall, martial arts teaches self-defense, confidence, and discipline in a controlled environment. We hope our children will never face dangerous situations and use self-defense. The reality is that anything could happen at any moment that threatens their safety. Whether it’s a bully at school or someone on the street, martial arts give our kids with an ability to defend themselves. Plus, it provides a competitive outlet to try their best at something. Combine physical activity with internal growth and life skills. It will impact your children’s lives for years to come and keep them active and healthy. If martial arts isn’t their thing, there’s always team sports. Team sports such as soccer, basketball, and baseball are enjoyable aerobic exercises. Aerobic exercise for kids gets them breathing faster, increasing their heart rate. This improves cardiovascular and immune function. Not only that, team sports build character and instill values in children. Working together with their peers requires learning teamwork, leadership, and communication skills. Being a part of a team involves time management and responsibility. There are thousands of team sports that exist in the world. Find what peaks your child’s interests and go from there. Who knows, they could continue to play in recreational leagues for the rest of their lives. If none of them do the trick, there’s always individual exercise. Combine independence with vitamin D and you get outdoor activities. Surfing, snowboarding, and skateboarding are both individual and group activities. This means there’s some freedom with time spent doing it. After learning through either trial and error or lessons, they can exercise without having to follow a set schedule. You can combine outdoor recreation with aerobic exercise or strength training. This could manifest in activities like running or rock climbing. An added bonus of this type of physical activity is that it provides kids a lifelong interest to go to, even after they’re past the age of team sports. Let’s face it — overstimulation is a result of the times we’re living in. There’s information coming at us from every direction at every moment because of technology. We all experience this, of course, but our kids are growing up in it. What they experience at this age will affect them the rest of their lives. Teaching our children yoga from a young age can combat this. It’s an introspective practice that teaches how to deal with mental and physical stress. Studies are finding that yoga may alleviate symptoms of anxiety and depression. This may be due to the pranayama (breath work) involved. Breathing techniques affect our heart rate and calming us down immediately. The practice of yoga improves concentration and attention span as well. As far as the exercise aspect goes, asanas (postures) improve strength, balance, and flexibility. Whether your kids become full-blown yogis or use yoga to supplement other physical activity, it’s a great practice to introduce them to. Speaking of introductions, make safety a baseline concern by introducing it to children at the beginning of any activity. Remind them that they only have one brain and one body — you have to take care of it. That way, they’ll protect themselves even when you’re not around. There are obvious safety concerns — such as wearing a helmet and protective gear — but others are more subtle. Some sports (like skiing) need lessons rather than simply diving into it to ensure safety. Other sports are inherently dangerous because of high impact and speed. Don’t let fear keep you from allowing your kids to try new things. Take into account the dangers of different activities and stay informed on relevant research. Exercise for kids is important but it’s just as important for you to stay moving. The health benefits are not limited to kids. If you’re interested in similar physical activities, do them together. This also provides an opportunity to bond over mutual interest. No matter what they choose to do, remember that they will follow your example. If you exercise and eat well, so will they. Here are more ideas on how to live a healthy lifestyle as a family so that screen time doesn’t have long-lasting negative effects.